This Wednesday, Sept 20 on SuicideGirls Radio, hosts Nicole Powers and Bradley Suicide will be joined by LA-based band Dane DeLucchi & The Hitmakers. 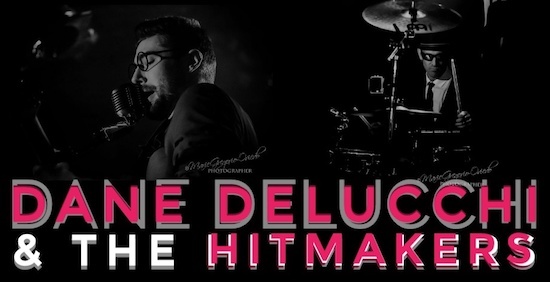 Dane DeLucchi & The Hitmakers comprise of founder and lead writer Dane Delucchi, with Forrest McKinnon (drums / percussion), Gabe Maska (bass), and Matt Fuller (lead guitar). Dane has been writing since he was a youngster and is currently the manager of the world famous Whisky A Go Go. Forrest has toured with professional ice skating shows for 20 years. He was Will Ferrell’s chase scene stunt double in Blades Of Glory and is a veteran of the STOMP stage show. Gabe and Matt previously played in the bands Vonlust and Puddle Of Mudd, respectively. Together, as a band, the foursome take inspiration from the Beach Boys, David Bowie, and Tom Waits. They combine storytelling with three-part harmonies and a heavy percussive sound to create an ensemble sound that is truly timeless.